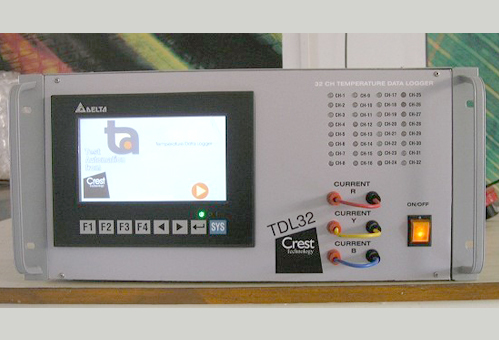 TDL32 – Crest Test Systems Pvt. Ltd. Typically, the contacts and the bimetallic strip in the circuit breaker are the components that become the hottest. The temperature gets cooler as we move along the current path closer towards the bus bars, cables, and heat sinks. The temperature characteristics are distinct for each circuit breaker make and family. 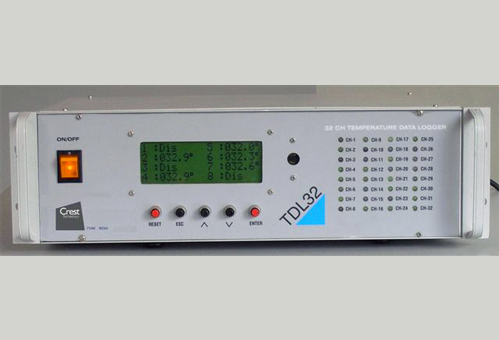 The TDL32 Temperature Data Logger is a microprocessor-based system consisting of a 32 channel temperature data logger to conduct temperature rise test on circuit breakers and other switchgear. 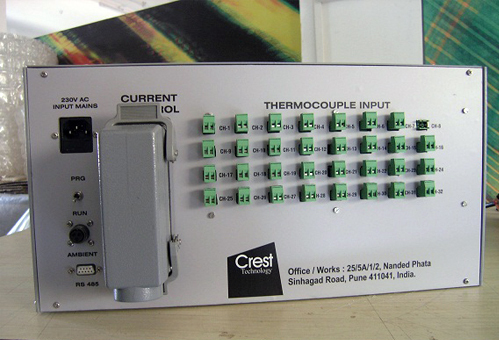 The freedom to program different thermocouple types and sampling intervals makes this system a popular choice for validation labs of circuit breaker manufacturers.